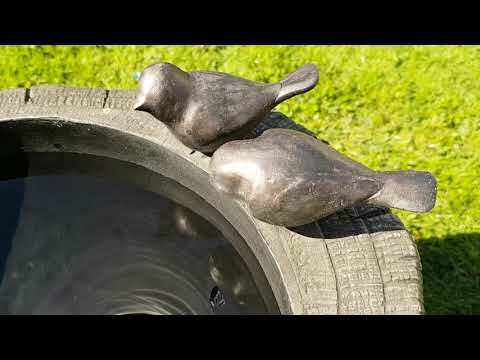 Your Natures Whirlpool hollow tree stump filled with water is the perfect place for birds to drink and bathe. Your Natures Whirlpool hollow tree stump filled with water is the perfect place for birds to drink and bathe. This authentically detailed water feature creates a mesmerising vortex whirlpool of movement and the LED light cluster illuminates and enhances the swirling water as it falls into the tree stump so can be enjoyed day and night. Manufactured in hard wearing polyresin, the feature comes complete with high quality 250LV pump, waterproof transformer and 10 metres of outdoor rubberised cable for use indoors and outdoors.